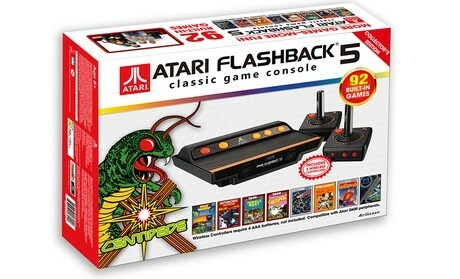 Groupon has the Atari Flashback 5 Classic Game Console - 92 games on sale for $39.99 - 10% off promo code: SALE Exp 11/13= $36. Free Shipping. 92 games, including Asteroids, Space Invaders, and Jungle Hunt, are built directly into the console.